Grab music from any audio CD free and convert it fast to various audio formats with IQmango Audio CD Ripper! Besides high quality conversions to MP3, AAC and OGG this fantastic simple program provides lossless converting to FLAC and WAV audio formats. Clear interface of IQmango Audio CD Ripper makes it a real pleasure to use. Various custom settings of this effective CD ripper can be adjusted to meet the user's needs: song, artist, genre, album, output folder, bitrate etc. 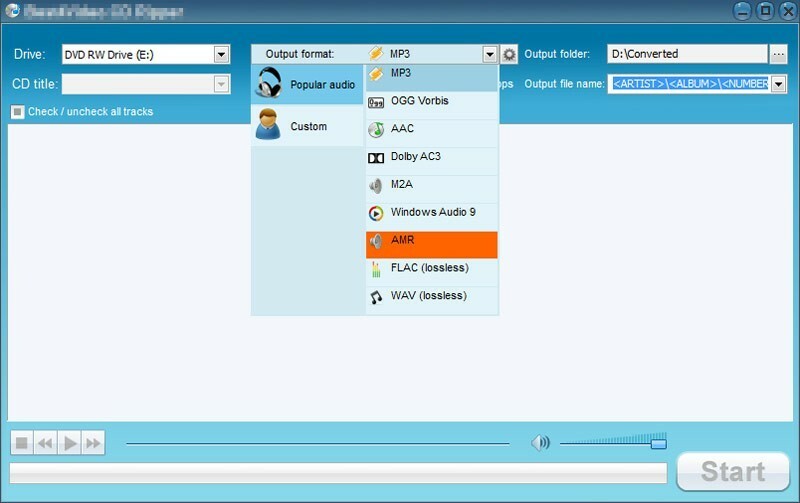 Brisk IQmango Audio CD Ripper enables you to convert the music taken from the CD to one of the audio formats that are compatible with your Apple device. Furthermore, IQmango Audio CD Ripper is also capable of converting audio CD music to any mobile phone compatible format. So it doesn't matter whether you have an Android phone, Blackberry, any Windows 8 phone or iPhone - IQmango Audio CD Ripper guarantees successful audio conversions of the ripped CD music to the audio formats required for use on your mobile or portable device. Fast installation process, safe and enjoyable experience, highest possible quality output music from your CDs - all this you get for free using the brilliant IQmango Audio CD Ripper. Download it now!